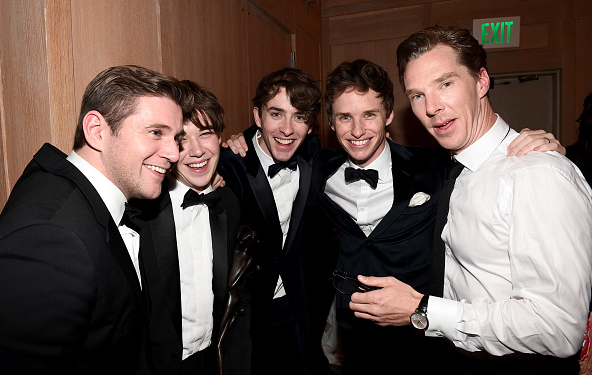 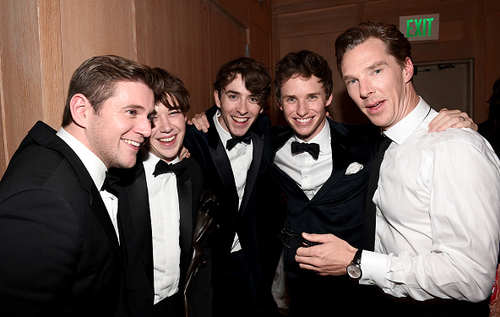 The Imitation Game Cast - After Party. . Wallpaper and background images in the Benedict Cumberbatch club tagged: photo benedict cumberbatch eddie redmayne allen leech alex lawther after party palm springs international film festival 2015.